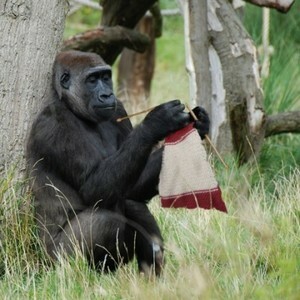 Gorilla Discovered Knitting at National... | Top Crochet Patterns in the gorilla enclosure, zookeepers were stunned to find that resident gorilla Penny had successfully managed to cast on and knit half a scarf. Even managing to swap between colours, these incredible abilities have suddenly attracted the attentions of scientists across the globe. The discovery will no doubt be apeeling to the debate of how intelligent gorillas are. Since receiving such a warm reception to her woolly work, Penny the gorilla is now thinking of using her skills to set up a monkey business. The reptile house has already put in a request for snake jumpers, so Penny will soon be pulling the wool over their eyes. 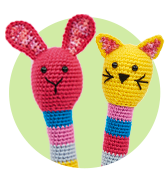 Since learning how to knit, Penny has requested a banana yarn for her next project. Staff however, have wondered if the gorilla’s newfound craft skills are a ruse and just an elaborate ploy to get more bananas. Penny claims to simply enjoy the lustre of banana yarn. 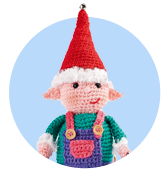 If you’ve spotted any knitting monkeys or been affected by any of the topics in this story, please get in contact via Facebook or Twitter – we promise not to monkey around! BREAKING NEWS! A gorilla has been discovered knitting at a national zoo, leading to new questions regarding ape intellects and their capability to grasp math. After a crafty staff member accidentally left balls of yarn, needles, and the latest copy of LGC in the gorilla enclosure, zookeepers were stunned to find that resident gorilla Penny had successfully managed to cast on and knit half a scarf.